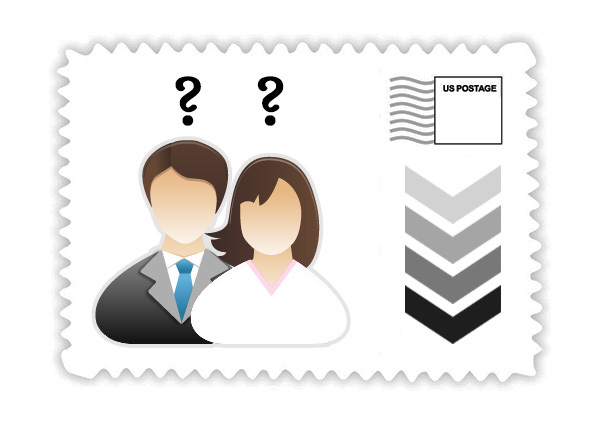 Custom postage stamps are available in the US from exclusive vendors of the United States Postal Service™. 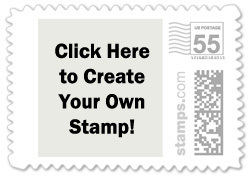 There are only three companies that offer custom postage stamps: Minted, Shutterfly, and Stamps.com. Zazzle no longer offers custom postage. Selection.Independent designers have created over 2,000 wedding-themed stamps from which to choose. There are monogram stamps, RSVP stamps, flower stamps, love stamps, and thousands of other designs. By comparison, only one other vendor offers a handful of designs that are not themed for weddings (i.e. sports teams) and the USPS only offers three wedding-themed stamps. Signature Style. Minted allows you to add text to almost any stamp in addition to photos. This is ideal for creating monogram stamps, save the date stamps, or for adding any other text you’d like to your custom stamp to make it truly unique. You can using any of the unique designs built by independent artists as your base design, then choose colors and add text to coordinate them with your wedding invitations. Satisfaction. Minted has an excellent reputation for working with couples to provide the perfect stationery for their weddings and beyond. You can return any item for any reason in exchange for credit or an exchange. 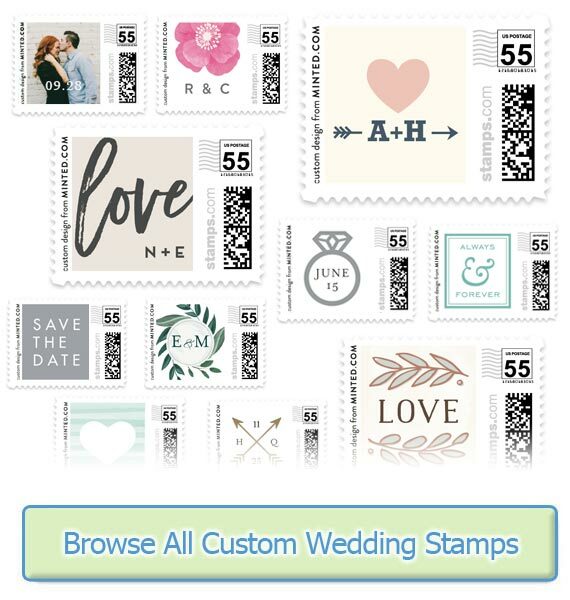 You'll find they have many 4+/5 star reviews from people all across the wedding industry..
To us, the choice is clear: Minted is the best choice for wedding stamps.